Any interested person has the right to inspect the council’s accounts. 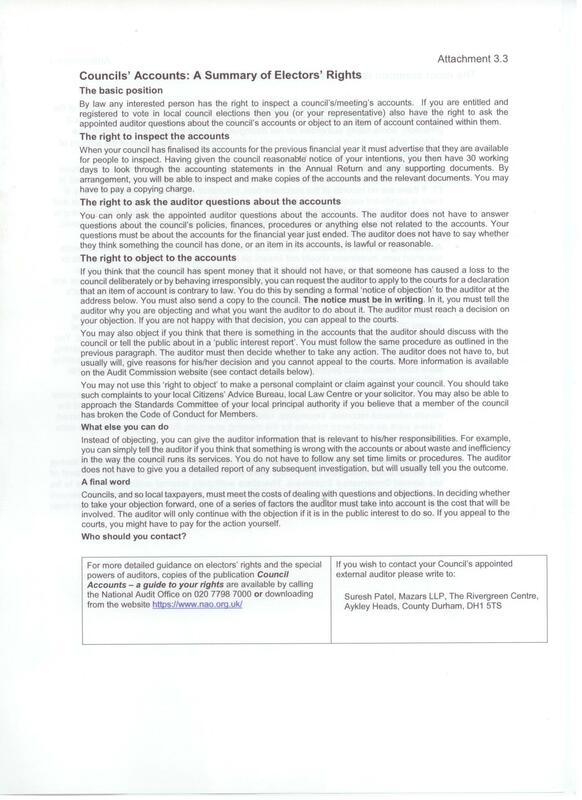 If you are entitled and registered to vote in the local council elections then you have the right to ask the appointed auditor questions about the council’s accounts. 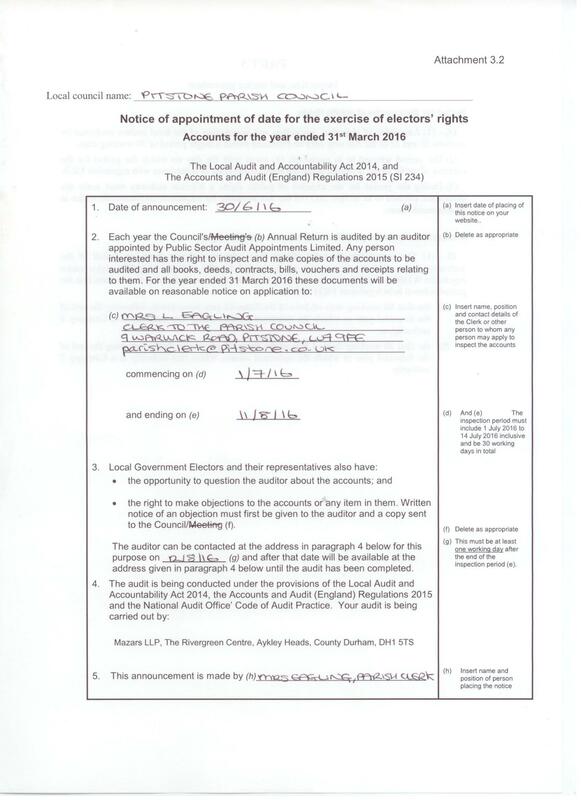 Please find below the notice of appointment of date for the exercise of electors’ rights and a summary of electors’ rights in relation to the accounts for the year ending 31 March 2016.